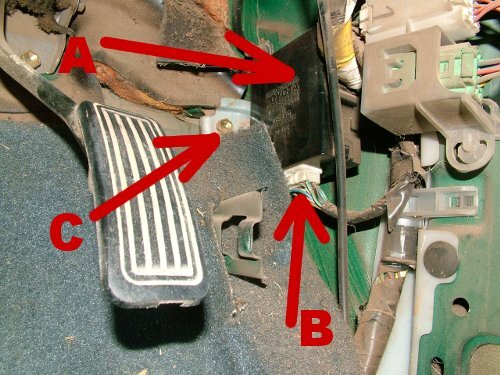 For those of you who owns the 1998 till 2004 Toyota Hilux 4x4 bakkies you would have noticed that you can only use your rear diff-lock in Low Range 4WD (L4). 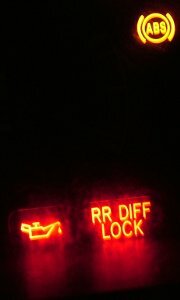 One often needs the diff-lock in 4H or even while in 2 wheel drive. 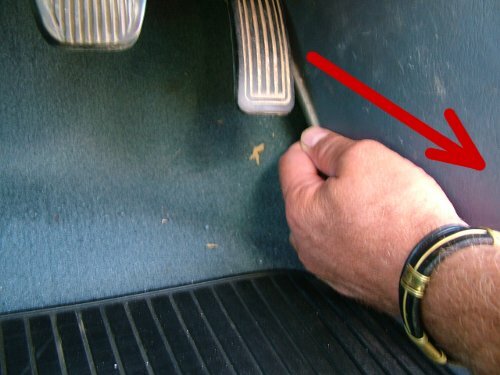 Especially when driving in sand my experience is that you hardly ever use low range. Changing this is very easy. If you are technically challenged I am sure that you might still be able to do it yourself following the instructions below. Otherwise just print it and take it to a friend or neigbour who knows a little bit about cars. This took me about 15 minutes which included the taking of photographs. Park your Hilux outside in the shade where you can breath fresh air. Put on your favorite music. Look at the floor area at the driver's side. You will note the two panels indicated in the picture below. Those are the panels you will have to remove. Pull the cover upwards. If it sounds as if you are breaking it DO NOT PANIC. It is only the clips that are being released. These do not break easily but be careful anyway. The inside cover does not have any screws. You can just grab it at the back and pull it carefully towards you as indicated below. You will now see some strange thingies on the inside. 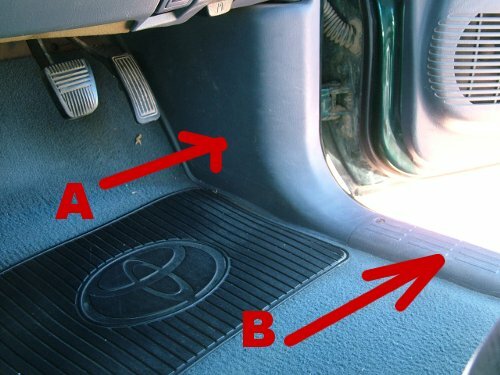 One of them is a little black box as shown in the picture below. I have seen some of these have a white sticker on but they are all located at the same spot and it is the only black box in the area. The black box is indicated at point A above. 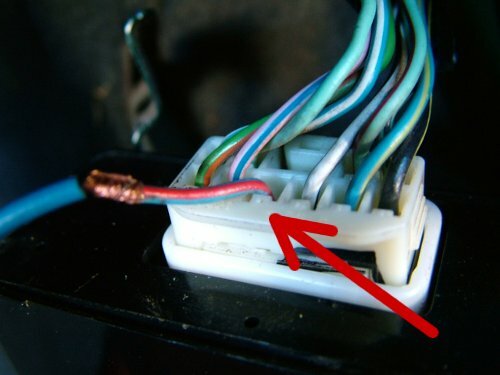 The plug where the wires are located is indicated at point B above and the bolt that retains the little black box is indicated as point C above. 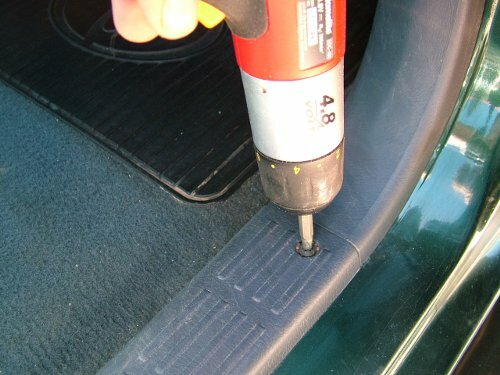 You now have to remove this bolt. Use a No10 (10mm) socket or spanner. A socket will be the easiest. Turn the bolt anti clockwise until it comes out. Now pull the black box out carefully. 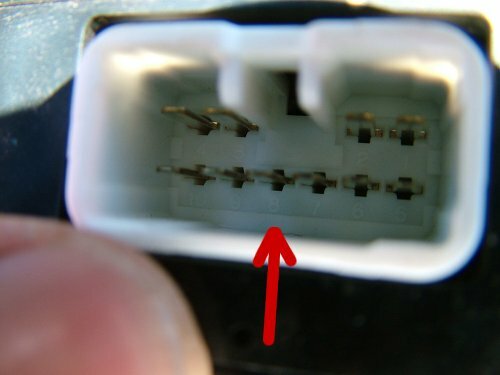 You can unclip the socket with wires if you want to but you can also do the mod without removing the box completely. I removed it in order to make photographing easier. 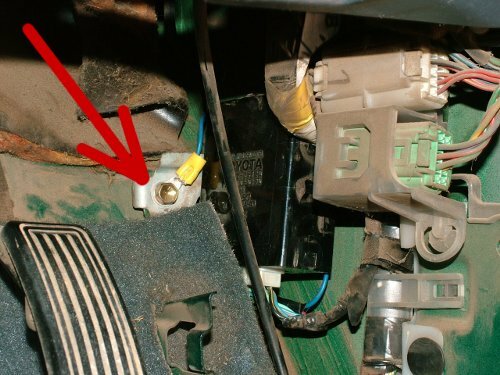 In order to bypass the censor that disables the diff-lock in 2H and 4H you will have to cut the wire indicated in the picture above. 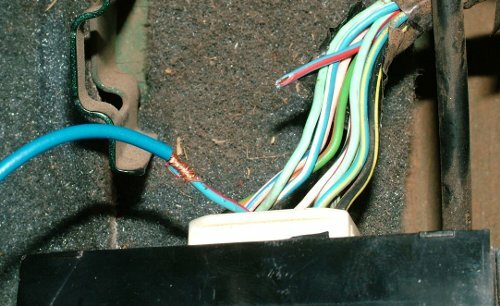 On my Hilux which is a 1999 model it is a Red/Blue wire. On some other models apparently it is a grey wire. But it is always located at the same spot. Now cut the wire about 3cm from the plug. Then take another piece of wire and join it to the wire you just cut ON THE PLUG SIDE of the wire. This extra piece of wire can be about 25cm long. 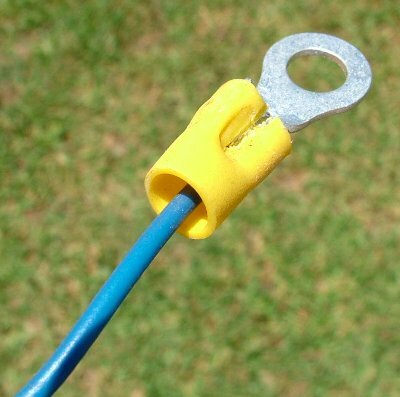 On the other end of the wire you can add a little eye in order to fasten it with a bolt. See pic below. The eye must be at least 6mm big. 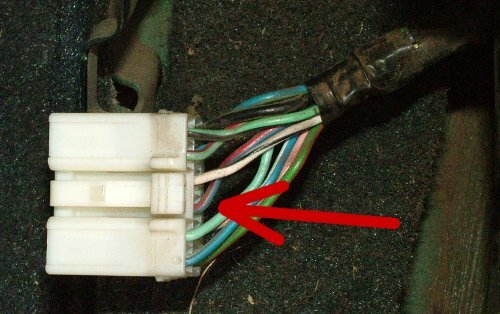 Use insulation tape to close both the joint and the open end of the wire on the harness side. If you unplugged the little black box plug it back in. Then put the black box back into place. When you put back the bolt also add the new wire to it. See pic below. Before you put everything back test it first. Switch on the vehicle so that the lights on the dash board come on. While in 2H press the diff-lock button. You will hear it engage and also the diff-lock and ABS lights will come on. If all of this happens you succeeded. You will now be able to use the diff lock in 2H, 4H and 4L. WARNING: Never ever use the diff-lock while driving on a hard surface like a tarred road. You will damage the side shafts and diff. You can now replace the covers and continue enjoying your Hilux.